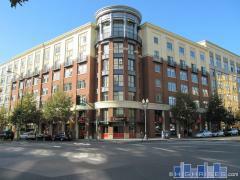 Blog with news about the Oakland California high-rise condominium and loft market. Monday, April 15th, 2019 at 3:52pm. As mentioned in my In Defense of the HOA (Dues) article, the number one objection I get from buyers is that condos will cost them more than houses because of HOA dues. Given the age of houses here in the Bay and the amount of maintenance and upkeep they require, and given my personal receipts, I feel it’s safe to say that a condo will generally cost less in monthly maintenance. That still doesn’t mean it’s right for you. Let’s look at some myths and facts about condos vs. houses. Note: “Condo” for purposes of this article includes coops, townhouses, and lofts, while “house” is a single-family residence (SFR). Monday, April 15th, 2019 at 3:49pm. Let me first state that I’m defending no HOA, as all HOAs are different, run by different boards, the quirky personalities that comprise those boards, and often outside management companies hired by the HOAs, with varying degrees of competence. Rather, I’m defending HOA dues, as compared to costs of owning and maintaining a single-family home. The number one objection I receive to purchasing condos from buyers is the monthly HOA payments, as if magically these figures will be saved by owning a single-family home instead. This outlook can be incomplete and misguided. Because I sell here in the Bay Area, I’ll be comparing costs in the Bay. Mileage may vary in far-flung areas. Thursday, September 28th, 2017 at 11:43am. It’s been over a decade since the City of Oakland saw even one high-rise built within the city’s downtown core which overlooks neighboring San Francisco. With the huge growth of Oakland over the past few years, it’s no surprise to find that there’s not one, not two, but now eight planned high-rises to be constructed in, or near, the city’s downtown core. That’s a total of 2,000 units planned for Oakland. There’s no doubt that the area is growing at a rapid pace as near-downtown neighborhoods like Jack London Square and Lake Merritt are already starting to see a wave of San Francisco expats making the move from renting to owning a home in these booming neighborhoods. So what does Oakland have coming down the pipe for high-rise developments? Thursday, January 5th, 2017 at 2:04pm. Located in the heart of Adam's Point. A rare Tri-level 3-bed, 2.5 bath condo (really feels like a house). Heavily updated throughout, gas stove, hardwood floors. Bedroom on each level. 2 decks and secluded backyard. Wired for sound throughout. Great Views! 4 parking spaces! HOA has earthquake insurance. Thursday, August 15th, 2013 at 4:12pm. Are you wondering if now is a good time to buy a home? With the recent history of the housing market dive, many waiting to buy a house have hesitancy in buying a new home. The housing market is making (or some would say has made) a comeback all across the United States in the last year. Foreclosures are down and inventory is decreasing in cities, particularly in hip urban communities where multifamily housing is available for a variety of needs. High-rise condos are in demand nationwide. Nationwide home values increased 12.3 percent in the second quarter this year compared to the second quarter increase in 2012. Home values jump up in 2013 YOY! Wednesday, November 14th, 2012 at 10:23am. A new development to include luxury residential condos and soar 28 stories is in the works in Oakland at 19th and Broadway Streets. The property was just purchased by San Francisco developer Seth Hamalian who is best known for his Mission Bay Development in San Francisco This project will be replacing Peter Wang’s vision of constructing a 55 story building which was stalled in 2008.